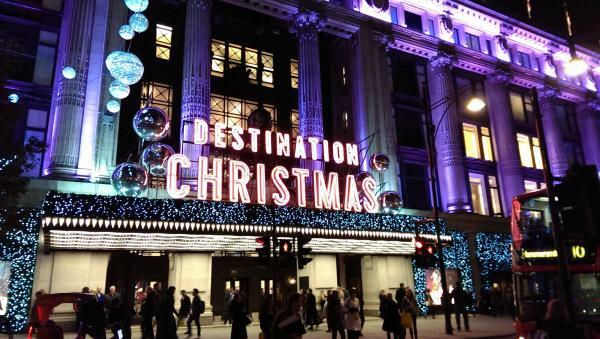 We have some exciting news, Home Leisure Direct has now landed in Selfridges, London! We're now all settled in and our concession is looking fantastic. We’re delighted to be displaying these products in one of the most prestigious stores in the UK and we’re sure we’ll be providing visitors with some of the best Christmas presents they’ve ever had! Come and see us in the Tech Zone on the Lower Ground Floor. We are positioned between Apple and Carphone Warehouse. Customers can try out our games room equipment for themselves to get a real feel for the products we sell and to see how they can fit into their home. Our Star Wars Battle Pod has been the big attraction, with customers queuing to play it. The incredible graphics and immersive gameplay have left our visitors awe struck. Come and have a try yourself - with 5 levels to choose from we think you'll love it. The latest pinball machine from Stern Pinball is based on the smash hit TV show Game of Thrones - just released in the UK, we are displaying the Game of Thrones Pro version. It's set on freeplay, so come and have a few games. It doesn't stop there, we are displaying an impressive range of amazing games room products in Selfridges, such as the Next-Gen Arcade Machine, and the Sulpie Football Table. The centrepiece of our concession is definitely the Montfort Lewis Stainless Steel Pool Dining Table, which is our bestseller here at Home Leisure Direct due to its sleek, modern design and smooth gameplay. During the Christmas period, we expect the atmosphere to be very busy but also lots of fun. Selfridges shoppers have been blown away by the kinds of products we have to offer so far and have been amazed that they can actually have these cool items in their own homes! We’re sure our incredible product range will give customers the most exciting Christmas ever, for their friends and family to enjoy with them all year round. We’ve hired a skilled team to help our customers find everything they are looking for during this busy time of year, whether it be a pool table for your games room or a jukebox for the family home, they'll be happy to help you! As you can see, they definitely know how to have fun and can recommend the best gifts we have for your family and friends this Christmas. So if you live in London or if you're visiting the capital, come and see us for a game of pool or a blast on the Arcade Machine!